It's not a secret that I am a heel lover. I love high heels, I love pumps, I love thin heels, I love thick heels. I have a passion for heels, but let's be serious: Who in the world would want to wear heels 24/7? No woman I think. I really do feel like heels add a little extra something to my outfits and I feel really good and comfortable in them, but flats are flats. It's nice to relax your feet from time to time and wear something more comfortable, like sneakers. And even though my style is more girly and elegant, sometimes getting more off the duty is not a bad thing I believe. Today I am showing you one of my all-time favourite casual combinations, which I wore in Berlin a couple of days ago! 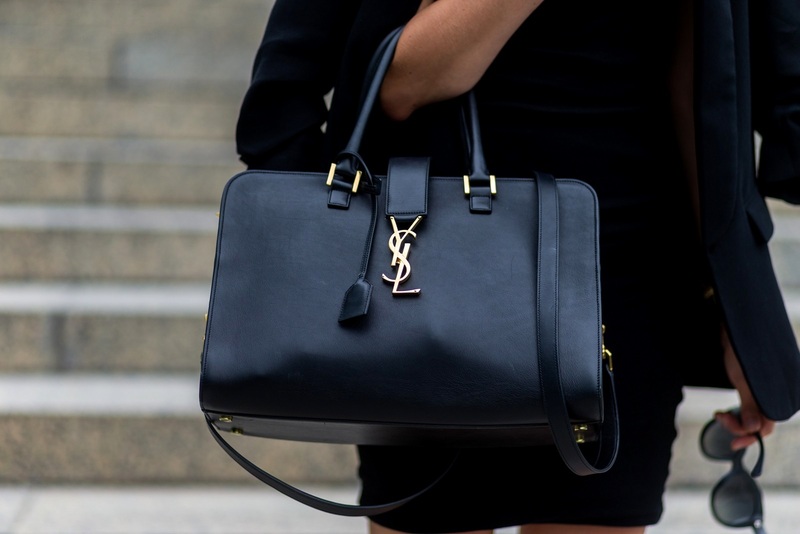 I am pairing a simple bodycon dress with a pair of sneakers and my YSL Monograme bag. I also threw a blazer over my dress to keep the look really casual. Není žádným tajemstvím, že miluju podpatky. Doma mám už slušnou sbírku vysokých, nízkých, tlustých i tenkých bot na podpatku. Myslím, že podpatky dokáží přidat outfitům něco extra, ale čas od času není od věci si od podpatků odpočinout a obout si něco pohodlnějšího. Teď v létě jsem si oblíbila tuhle pohodlnou kombinaci. Obyčejné bodyconové šaty jsem zkombinovala se Superstary od Adidasu a kabelkou YSL. Přes ramena jsem přehodila sako, díky kterému outfit vypadá ještě víc "off the duty". Jaké outfity v létě přeferujete Vy? Strasne moc se mi libi outfit! Je to trochu neco jinyho, nez jinak u tebe vidame! Superstary miluju, nedavno jsem si je poridila a uz nenosim jiny boty. :D Jinak se mi moc libi napad saka, ktery vsemu doda elegantni styl i pres tenisky! Minimalistic, sporty and perfectly styled outfit! I'm loving your bag and kicks! You're my daily fashion inspiration!